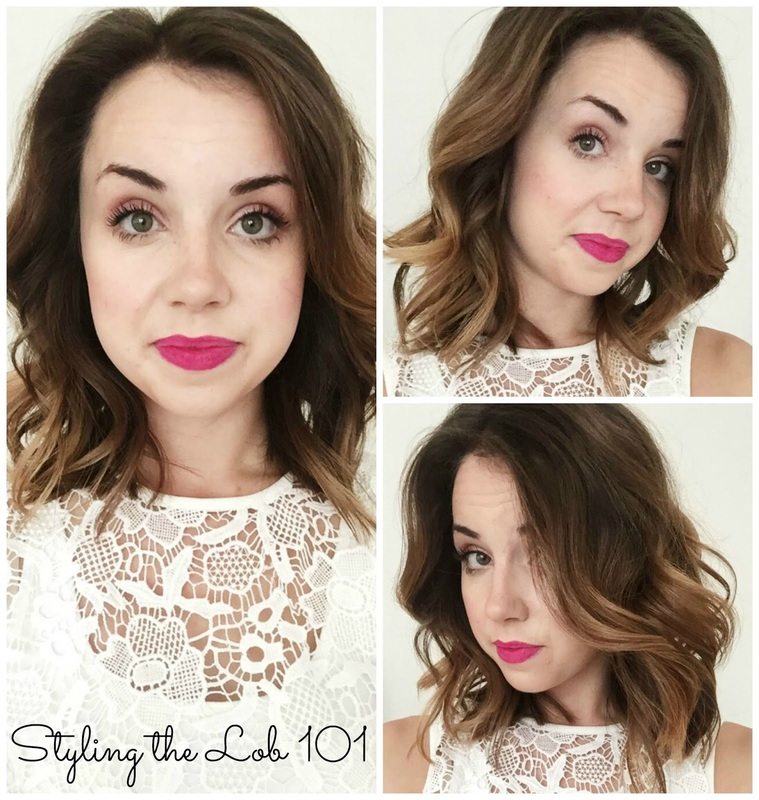 Styling your long bob can be a struggle. Some struggle with whether short hair is less work and in my opinion it totally is. I had long hair that was very thick so having this short hair is honestly the best thing ever. I absolutely love it. Who's with me? I washed my hair the night before and put in TREsemme keratin smooth to keep the frizz down and smooth. I divide my hair in three sections. I grab about an inch thick piece and use my Bed Head wand. Rather then curling my hair outward for every piece, I alternate curl directions so that my hair isn't one big curl. Following curling it, I spray the layer but don't tousle it till the end. I repeat these steps for the second section. The last section I curl my hair all outward so that it is going away from my face. That's totally a preference, you can do which ever you choose. My final steps to complete "the look." I hope this is helpful to those of you rocking the Lob or just trying to perfect your curling technique.